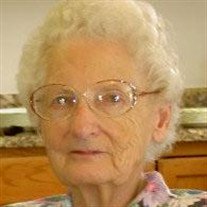 Funeral services for 97 year old Bernace Kerwin of Oskaloosa will be held Tuesday at 11am at the Bates Funeral Chapel in Oskaloosa. Private burial will be held in Southlawn Cemetery in Seymour, Iowa. The Bates Funeral Chapel is in charge of the arrangements. The family will be present at the Bates Funeral Chapel from 10am until time of service at 11am on Tuesday.